Make sure you’ve updated to Windows 8.1. You’ll know you have if you see the icons for power and search in the upper right corner of your Start screen. If you haven’t installed it, you’ll probably see a tile on your Start Screen to do so, or here are the Microsoft instructions for manually installing Windows 8.1. Learn to Search! No need to be frustrated because you don’t know where things are, just search. From your Start Screen (the tiles) just start typing! Notice that there is no text field anywhere in sight, so, if you do start typing, Windows understands that you’re looking for something. If that doesn’t make sense, you can also click the new magnifying glass icon in the upper right. Wondering how to change your mouse settings? Just type mouse and you’ll see a list of results. Want to use PIcasa, but don’t see an icon or tile for it? Just type Picasa and it will come up on a list. 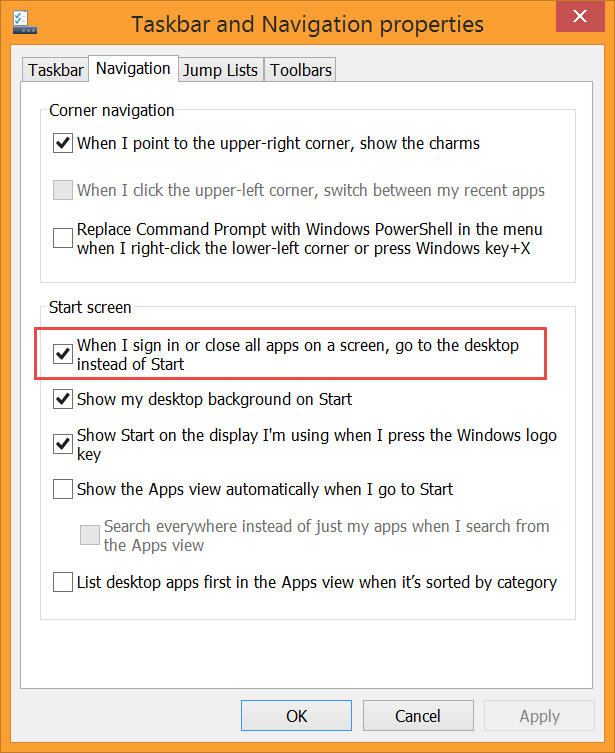 Shutdown and Restart no longer require you to use those silly “Charms” at the right side. You can now use the power icon in the upper right. 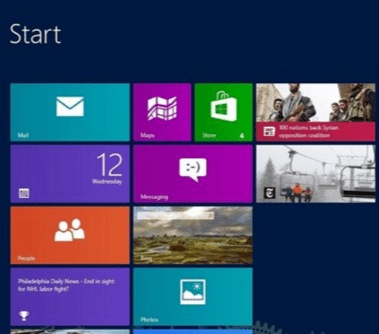 Better yet, you will now see a Start Button (the Windows logo) in the lower left corner – right where it belongs! If you right-click on that button, you will see Shutdown or Sign Out, as well as many other system level options. Learn the Windows key. On your keyboard there is a key with the Windows logo on it. Pressing that key will always take you to the main Start Screen. Pressing it again will close that start screen, taking you back from whence you came. Use the Desktop. From your main Start Screen you will see a Tile with the label Desktop on it. If you click that, you’re looking at something that is just like Windows 7. This is where you want to live! It’s familiar. You’ll see the familiar Task Bar at the bottom with a Start button, Folder icon for Windows Explorer, and the familiar Systray at the right with the Date, Time, Sound control, and Wi-Fi control. One disconcerting thing about Windows 8 Apps was that you could see no way to get out. Gone was the familiar red X in the upper right corner. 8.1 puts that back! But you may not see it at first because you need to move your mouse up to that corner for it to appear. Make the Desktop home! With 8.1, there is a new option to boot to the Desktop rather than the Start Screen. When you see your taskbar, right-click on it and choose Properties, then click on the Navigation tab. The setting outlined in red is the main one, but you may want to change the others as well. Published by MrsGeek, in Blog. Tagged with #GeeksWhoTeach, Geeks on Tour, Technology for Travelers, Windows 8.